Adjust an oven rack to the middle position and preheat oven to 350 degrees F. Lightly coat your cake pan(s) with cooking spray and line the bottoms with parchment paper cut to fit. Whisk (or in my case, sift) the flour, baking powder, and salt together in a large bowl. 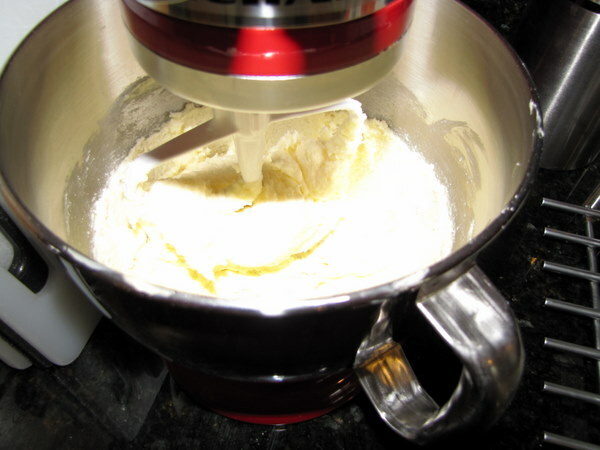 Beat the butter and sugar together in your stand mixer, or in a large bowl with an electric mixer, on medium speed for 3-6 minutes until it’s light and fluffy. 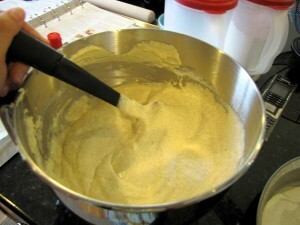 Beat in the eggs one at a time until incorporated, scraping down the bowl as needed. Beat in the vanilla. **NOTE: To get the eggs room temperature quickly, the book suggests putting them in a bowl with hot tap water for 10 minutes. This worked perfectly for me. 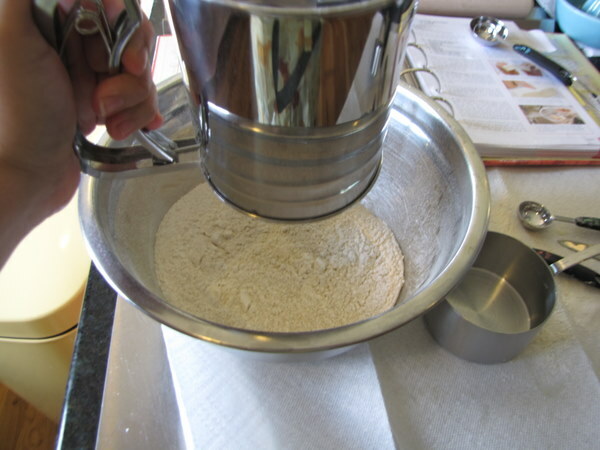 Reduce the speed to low and add 1/3 of the flour mixture. Then beat in half the milk. Then beat in half the remaining flour, the last of the milk, then the last of the flour mixture. Give the batter another stir with a spatula, then divide it up into the prepared pans. 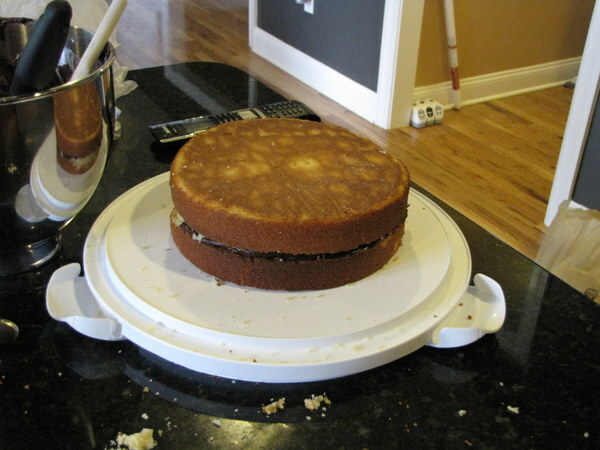 Bake until a wooden skewer inserted in the middle of the cakes comes out clean, 20-25 minutes for 2 rounds and 25-30 minutes for sheet cake. **NOTE: It actually took my cakes 35 minutes to bake completely, not sure if this was due to the flour mixture I used. 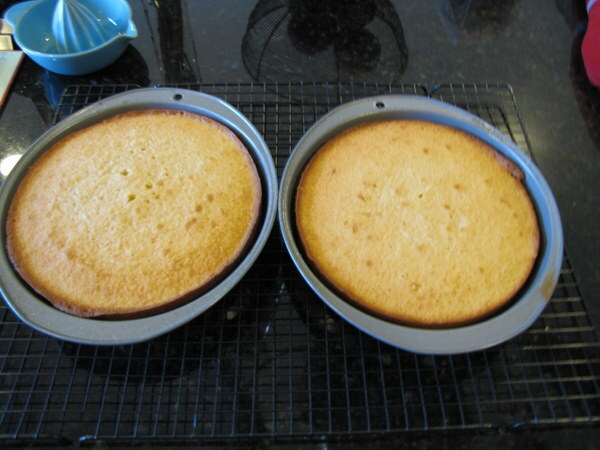 Let the cakes cool in the pans on a wire rack for 10 minutes. 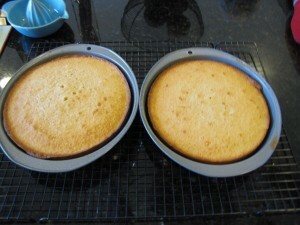 Then flip the cakes out of the pans and leave them to cool upright on the wire rack for 1-2 hours before frosting. Now it’s time for frosting!! 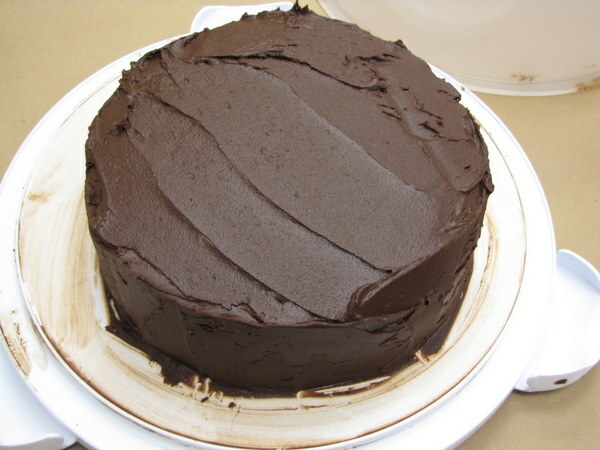 One thing I learned in this cake class is that to properly frost a cake I need to use basically TWICE as much frosting as I think I do. 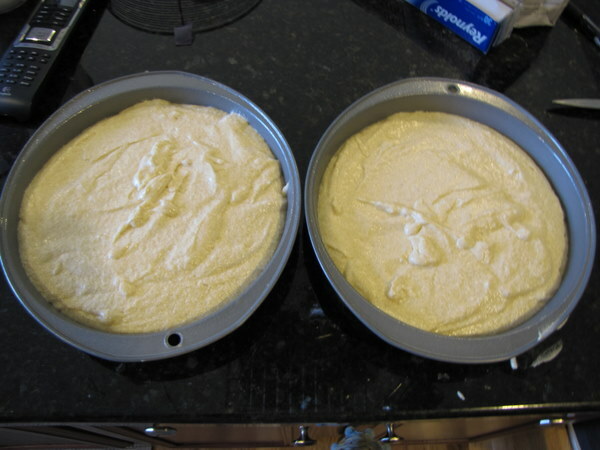 So I DOUBLED the original recipe from the book and put those amounts below. I had 2 or so cups of frosting leftover which I will save for next week’s class (maybe cupcakes next time). Also, I had trouble getting this to turn into frosting with the amount of confectioners’ sugar in the recipe. 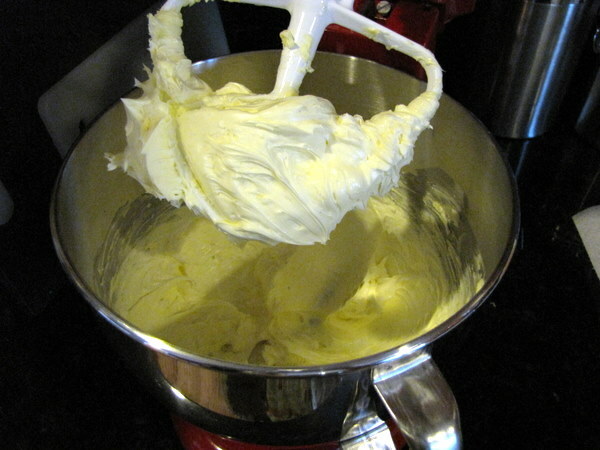 The original calls for 2 cups, but even doubled to 4 my frosting was still liquid. 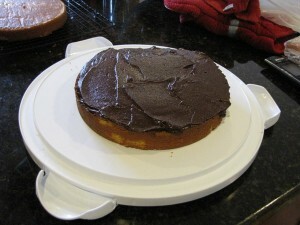 I ended up adding nearly 6 cups of sugar to get a nice frosting. 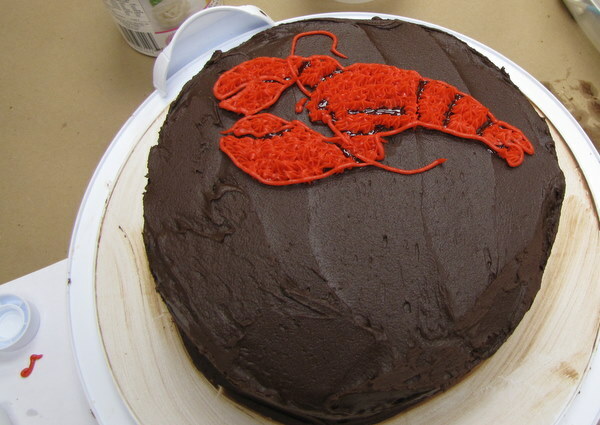 This cake is not for the faint of heart. 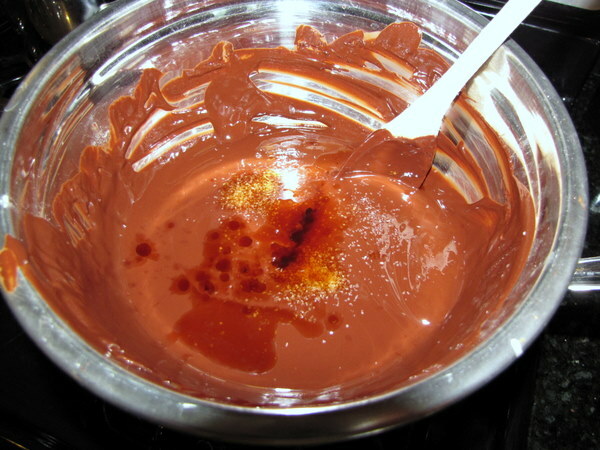 Melt the chocolate in a double boiler (I use a small saucepan of simmering water and put a metal mixing bowl on top of it and melt the chocolate in that). 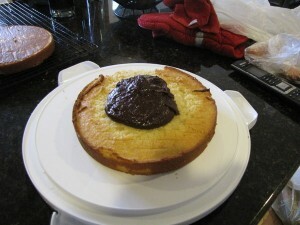 I added a stick of the butter, cut up, to the chocolate because it makes it nice and melty. 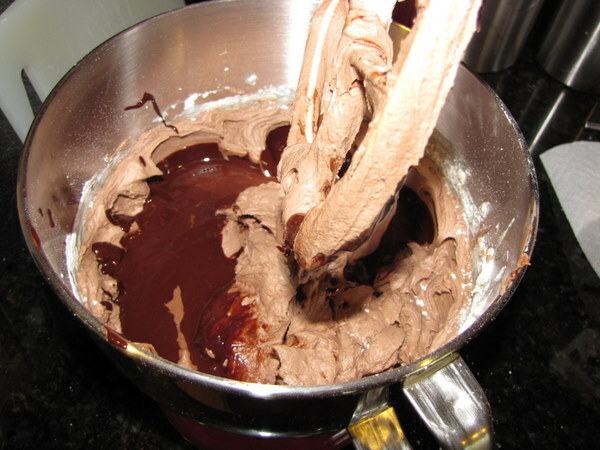 Add the vanilla and salt to the chocolate mixture until the salt dissolves. Beat the remaining butter on medium-high speed until smooth, 30-60 seconds. 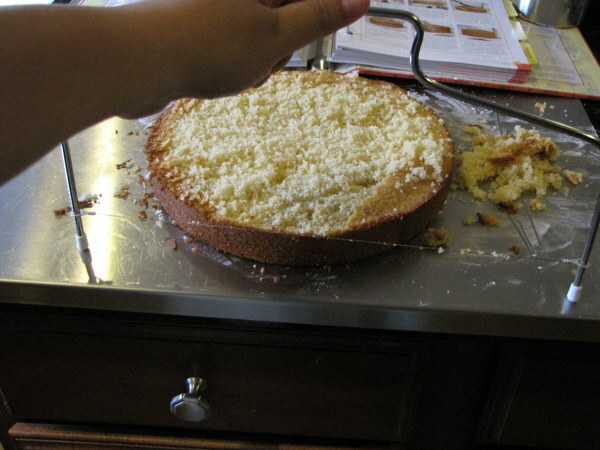 Reduce the speed to medium-low and slowly add the confectioners’s sugar. Add the cocoa powder. 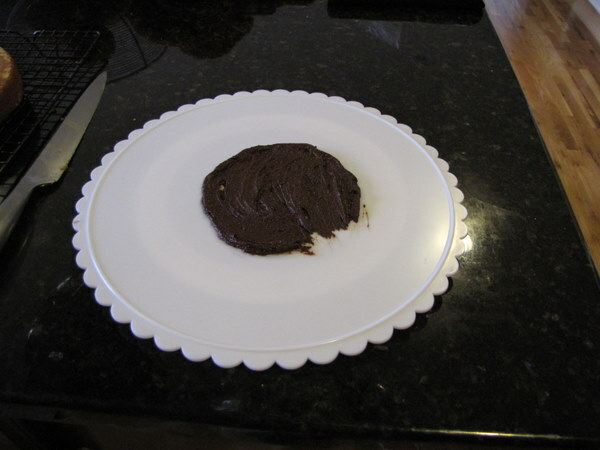 Beat until smooth, 2-5 minutes. Slowly pour in the melted chocolate mixture. 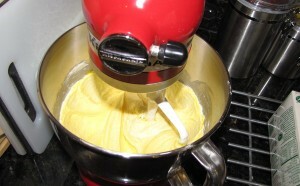 Increase the speed to medium-high and beat until the mixture is light and fluffy, 4-8 minutes.